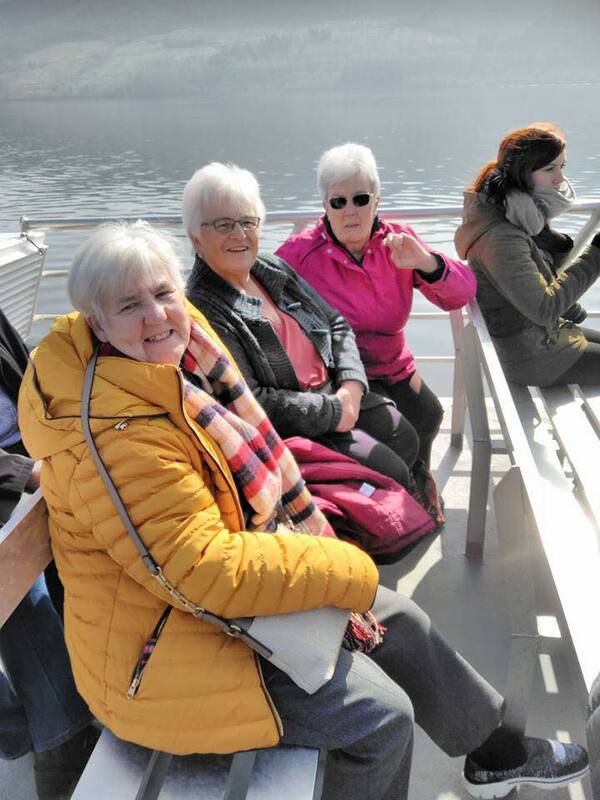 Our project supported older people and their unpaid carers to maintain their wellbeing, improve their quality of life and remain connected with their communities through the provision of a variety of short break opportunities and group holidays. We facilitated a variety of regular weekly activities including an art class, craft group, carpet bowls, men's history group, social group and health walks. These took place in Glenboig and having a support worker present meant we were better able to cater for a greater degree of need and we were also able to expand on the range of activities within the groups. We organised three group holidays for older people and their unpaid carers. Destinations were determined by older people and carers within the Village Autumn Group (who operate a year- round savings scheme to help budget for the cost of these breaks). The holidays were then offered out to all older people and their unpaid carers within the community. We supported these holidays by providing two support workers and one volunteer on each break. By doing this, older people who required a bit more support, were still able to be included without the need for their unpaid carer to attend, thus creating a respite break for the carer. In some cases, both older person and their unpaid carer attended and were supported to enjoy a break together. Destinations were Blackpool for a Tinsel and Turkey long weekend, Strathpeffer for a 5 day Easter break and 6 day holiday to Girvan. During the summer, we had a series of day trips to places such as Gourock, Queensferry, Ardrossan and Aberfoyle. All of these were designed with the aim of giving older people and their unpaid carers an opportunity to relax, reduce stress levels, meet and socialise with others, enjoy a change of scenery, fresh air and be more physically active all of which help to improve general health, well-being and quality of life. 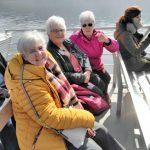 The greatly subsidised day trips in particular were a fantastic opportunity for us to reach out and engage with carers who were not accessing any of our services. During this period, we have forged closer links with carer organisations locally who can offer more specialist support and advice. This has greatly improved outcomes for our service users and their families. We engaged with new carers and people being cared for through the provision of summer day trips and have managed to introduce them to further supports and opportunities. We used a number of methods to engage with new families including word of mouth, posters in prominent places locally, social media and encouraging referrals from partner organisations. Funding has allowed us to strengthen and expand on our current service provision, forge stronger partnership links and engage with more carers. We engaged with an increased number of older people and unpaid carers who will report an improvement in their sense of wellbeing and an increased connection to their communities and relevant supports and services. Carers will report a reduction in levels of stress. We facilitated a variety of regular activities as previously detailed which were very well attended. In addition, we facilitated 3 group holidays throughout the year as well as a series of summer outings to places of interest. All of these things allowed us opportunities to engage with older people and carers. The summer outings in particular, allowed us to engage effectively with carers who were not previously known to our service. Through these, we engaged with a total of 5 new carers and 5 new people being cared for as well as an additional 13 older people. Through evaluation, we have ascertained that our project has contributed to a reduction in levels of stress for carers, an improved sense of wellbeing and increased feelings of connectivity. Mrs and Mrs X are an older couple who live remotely within the community. Mrs X cares for her husband who has dementia and cancer. Mr X had previously attended our men's history group some time ago to allow Mrs X some regular weekly respite. However, after a few months, he stopped attending as his health took a down turn. As we were aware that support was still required, we have been looking at ways to re-engage. The subsidised bus trips provided a good opportunity to do this. The couple were persuaded to attend these and the benefit to them was clear to see in terms of them being able to interact with their peers, enjoy new surroundings and just relax a little. Having taken this first step, the couple have now started attending one of our regular weekly social groups and have re connected with old friends and made new ones. We have been able to make a referral to Citizen's Advice Bureau and signpost to Lanarkshire Carers Centre for further support. Mrs X in particular has told us that she is really glad she decided to come to the group as she has been able to mix with other people and this in turn, has made her feel a bit more able to manage in her caring role. Unpaid carers will access more opportunities within the community ie. art class, carpet bowls etc which provide a break, an opportunity to socialise, develop skills and purpose outside of their caring role. Unpaid carers will report group holidays have provided an opportunity for some respite. We offered a broad range of regular, weekly short break opportunities. Namely an art class, craft group, carpet bowls, men's history group, social group and health walks. Although these were pre-existing, the addition of a sessional support worker allowed us to support a greater level of need within the groups and combined with a small investment, the activities within each group broadened in response to the wishes of group members. None of the groups are exclusive to carers and those they care for. However, over the funded period we had 9 carers regularly attending and 29 people who are cared for. In some instances, carers attended with the person they care for, in others they attended alone. The three group holidays throughout the year also provided opportunities for respite. In total, 5 carers attended (3 with the person they care for and 2 without). Ann is in her seventies and lives at home with her husband Joe. For over ten years Ann has cared for her husband who has an acquired brain injury. Ann is happy to fulfil this role but recognised her need for some occasional respite. She regularly attends our social group who meet weekly and she says that she really enjoys this time catching up with her friends and unwinding. With the help of her children, who step in to provide care in her absence, she was also able to participate in the three group holidays which allowed longer periods of respite and a real opportunity to relax and recharge her batteries. Ann has stated that without these respite opportunities she feels she would have struggled at times to manage. Carers will report that their loved ones attending group holidays and regular activities has allowed them some respite, a chance to ‘recharge their batteries’ and be ready to resume their caring role. They will report increased awareness of other services which can help them in their caring role. We have 28 people who are cared for who regularly attended groups during the funded period. This in turn allowed 46 carers to benefit indirectly, allowing them some brief respite from their caring role while the person they care for was engaged in activities they enjoy. This is in addition to the 9 carers who regularly attended groups. 8 of these same carers were also able to enjoy longer periods of respite while the person they care for enjoyed a group holiday. This is in addition to 2 carers who came on group holidays for some respite (while the person they care for was looked after by other family members). Rose is in her late seventies and, following the death of her husband some years ago, now lives with her daughter and her family. Rose has a number of long term conditions and uses a wheelchair. During the day, her family are out at work and school and as a result she spends long periods alone. Her family were becoming increasing concerned about the effect this was having on Rose’s mental health. As they live quite remotely, there are no local amenities or public transport. They spoke to Rose’s home care workers about these concerns and they contacted our service. We were able to use our adapted community transport and passenger assistant to ensure Rose could be safely transported to and from the 2 regular weekly groups she now attends. Being able to have this regular weekly contact with her friends has made a tremendous difference to Rose’s mood. Rose has been able to reconnect with old friends she hadn’t seen in many years as well as being able to make many new friends. Rose also attended one of our summer outings where she was able to enjoy the company of her friends in new surroundings.